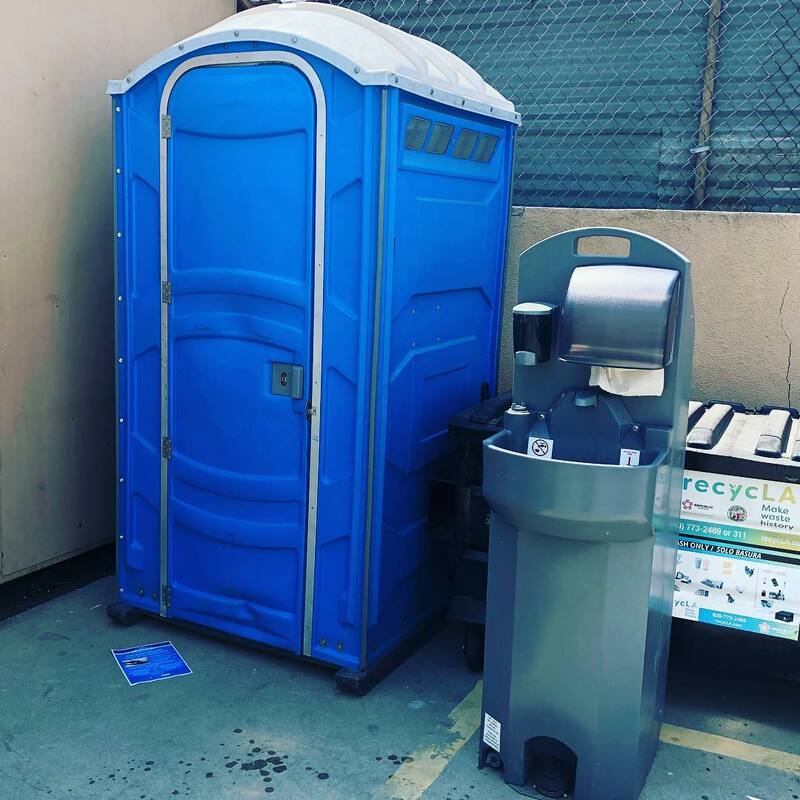 Rent a portable restroom and hand sink for your next special event. Rental inlcudes one blue portable restroom with cleaning tablet and toilet paper. It also includes interior lights but needs to be plugged into a nearby working outlet. Customer must provide own extension cord and have access to water supply on property to fill up the restroom. A total of 10 gallons of water are needed to fill up both restroom and hand sink (5 gallons each).